A timeless look for your daily travels. 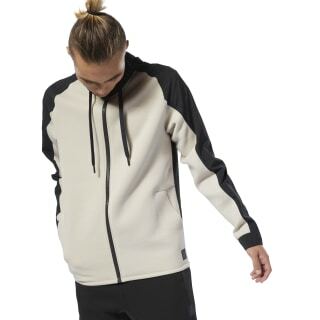 This men's hoodie is cut in a slim fit. 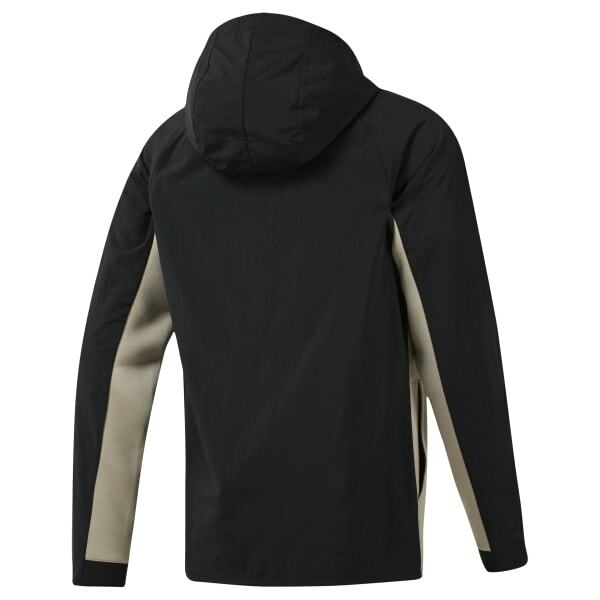 Woven overlays on the sleeves and hood give the sweatshirt a distinctive look. Front pockets provide a place for your essentials.